30 | September | 2010 | The difference is in the detail. 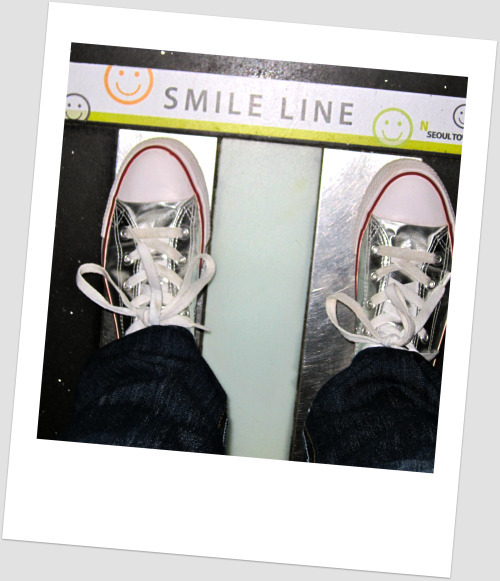 Today in the elevator, I looked down and noticed that I was standing behind the “SMILELINE”…. SMILELINE????!!! What is a SMILELINE?? 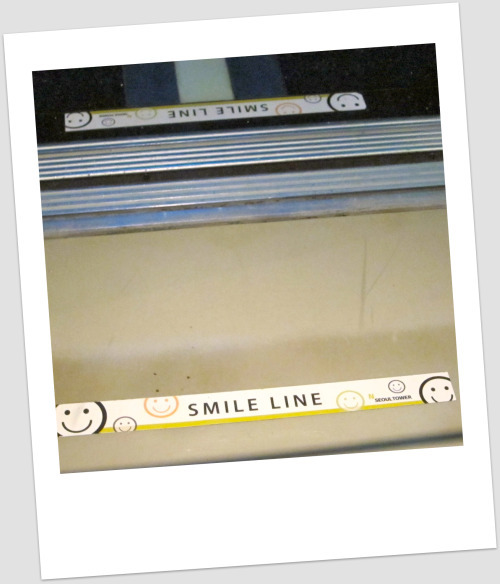 When the elevator opened, there was a SMILELINE also on the floor in front of the people entering. I have never seen a SMILELINE before. Have you? And is it what I think it is? Anyway … I looked up from my feet…. PS – I wonder if it will work if I tape a “no whining” line at the front door?